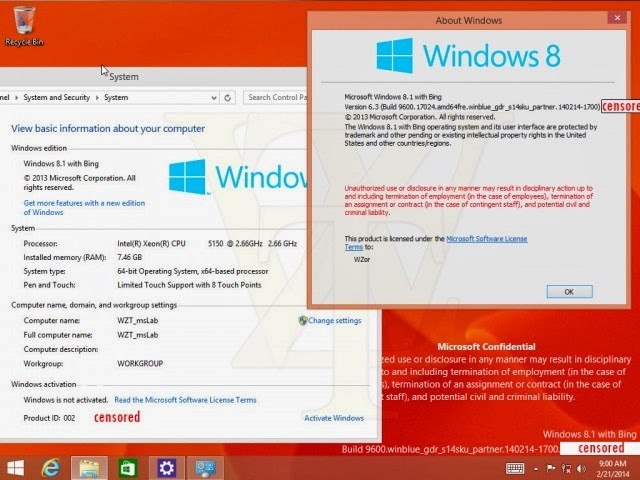 Faced with poor adoption of Windows 8, and no clear sign that matters will improve any time soon, Microsoft is thinking about releasing a free or low-cost version of Windows 8.1 called “Windows 8.1 with Bing.” The theory is that, by providing a free (or perhaps low-cost) version of Windows 8.1, users of Windows XP, Vista, and 7, will finally be convinced to upgrade, driving up its anemic market share. Microsoft hopes to offset the massive loss of income by pushing more users towards services like Bing, OneDrive, and Office. This follows news from MWC 2014 that Microsoft is also considering a similar move for Windows Phone. Desperate times call for desperate measures. News of Windows 8.1 with Bing comes from Wzor, a rather renowned Windows leaker from Russia. As it stands, this new build appears to be a fairly normal version of Windows 8.1 Update 1. Microsoft insiders tell ZDNet that Windows 8.1 with Bing “is key to Microsoft’s experimentation with monetization.” As for why there doesn’t yet appear to be any money-grabbing monetization, it’s likely that this is just a very early build. We have no idea if Windows 8.1 with Bing will debut at the same time as Update 1 (due to be released on April 8), or whether it’s following its own separate schedule. The big question, of course, is how Microsoft actually intends to recoup the massive loss of revenue by giving away Windows 8.1 for free. There is some revenue to be gained from OneDrive (formerly SkyDrive) and Skype subscriptions (both of which come pre-installed in Windows 8.1), but we’re talking relative peanuts to the billions of dollars that Windows licensing brings in per quarter. (Plus, OneDrive and Skype are available for all other Windows platforms anyway.) The most likely clue is the name of the build Windows 8 has always had tight integration with Bing, and 8.1 Update 1 further cements it. Microsoft is working hard to make Bing much more than just a web search engine some kind of deep-querying analytical engine that links together all of your Microsoft devices, services, and subscriptions but still, we have no clue how Microsoft intends to make money from it. 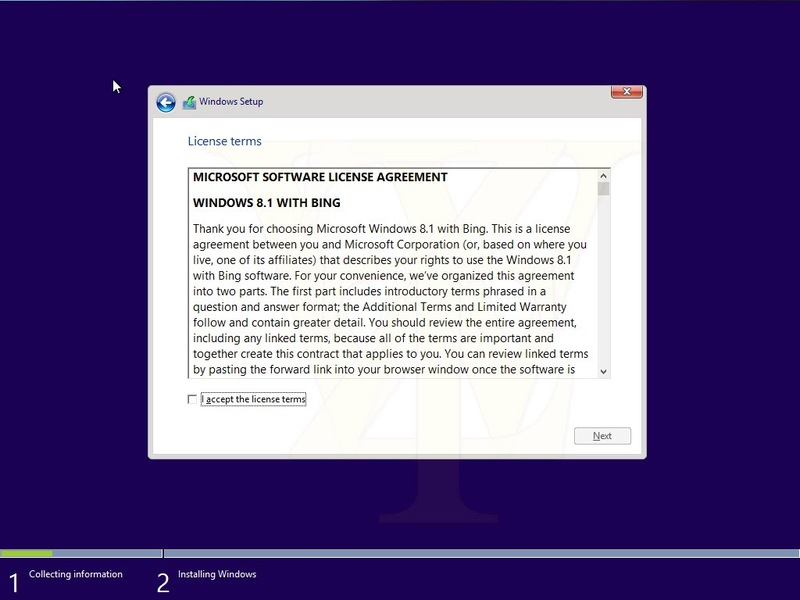 Still, it’s significant that Microsoft is even looking at releasing a free version of Windows. If someone had suggested such an idea at Old Microsoft, they probably would’ve been fired. To be honest, at this point in Windows 8′s life cycle, and with the PC market continuing to fade, it’s probably not a bad idea for Microsoft to be exploring some drastic changes. Microsoft obviously needs to change something if it wants to continue competing in the PC and smartphone markets. If it has to give away its operating systems to grow its market shares until they’re non-trivial, then so be it. It’s not like Microsoft can’t afford to experiment for a while, especially if it’s a matter of life and death.